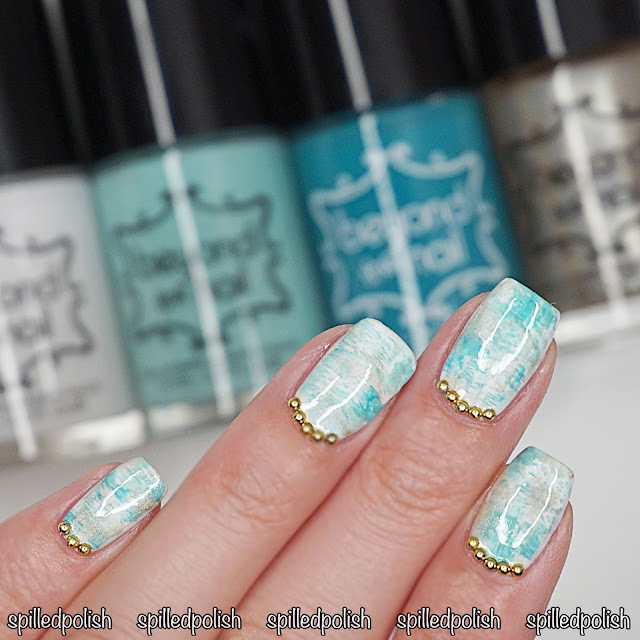 It's day 30 of The 31 Day Nail Art Challenge and today's challenge is Inspired by a Tutorial! I wanted to do another manicure based on a tutorial from Chalkboard Nails since she is the creator of this challenge! I have never done a Dry Brush Mani before (I'm totally late in the game for this one), so I copied the technique from her tutorial here. I started with a base of Beyond the Nail - Bright White. When it was dry, I got Beyond the Nail's Teal Creme, Crème de Menthe, & Holy Grail, wiped off most of the nail polish, then dragged them across my nails. 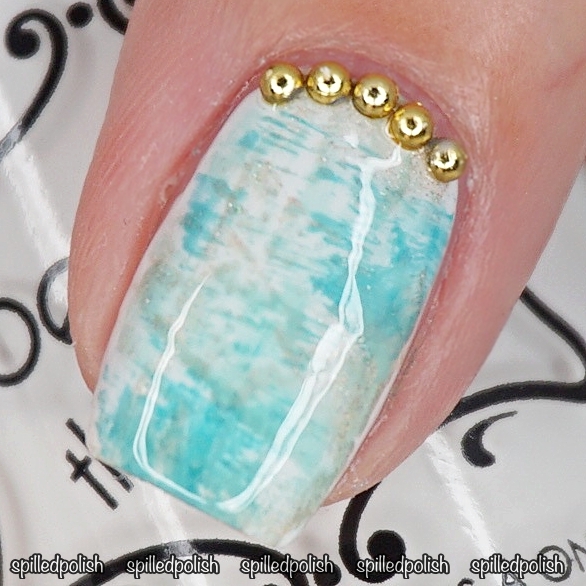 It looks so awesome afterwards, and with a layer of PRO-FX - Quick Dry Topcoat over each nail, it makes it look like watercolour! I also added some Half Round Nail Studs to the top of each nail.